Does this release include Autodesk cloud rendering capability for content beyond what ships with Revit? If not, is there a target date for this capability? This continues to be my highest priority for RPC content. RaaS (cloud rendering) is a very high priority for us as well. We are working with Autodesk to make additional necessary changes in the cloud to get this in place — target is last quarter of this year. 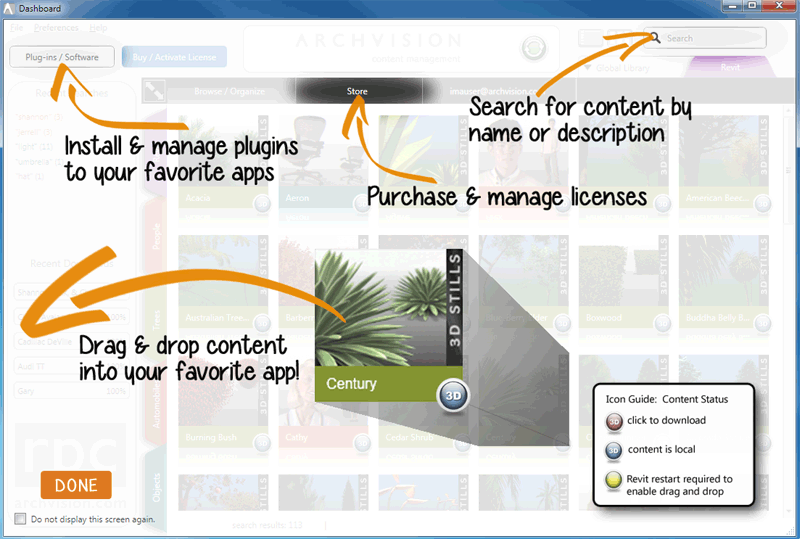 This build of ArchVision Dashboard will provide us a platform to enable this feature. Autodesk 360 cloud-based rendering now support RPC Content. Updates to enable for Revit 2014 are available now. Our latest post provides instructions and links.